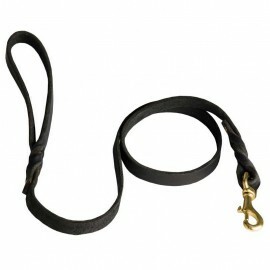 Dog Leads for Labrador There are 29 products. 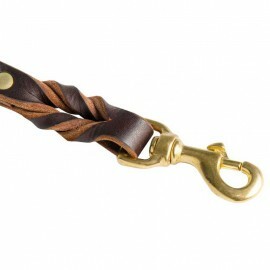 You can order this wonderful and quality leather dog lead for Labrador in our online-shop. 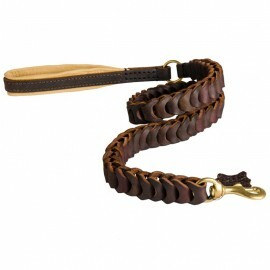 It is made of genuine elastic leather and complemented by environmentally-friendly elements. The model is very comfortable and safe. 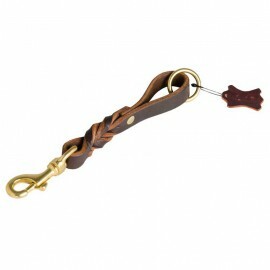 The product is suitable for different activities, meets all requirements and therefore you and your pet will definitely like it.